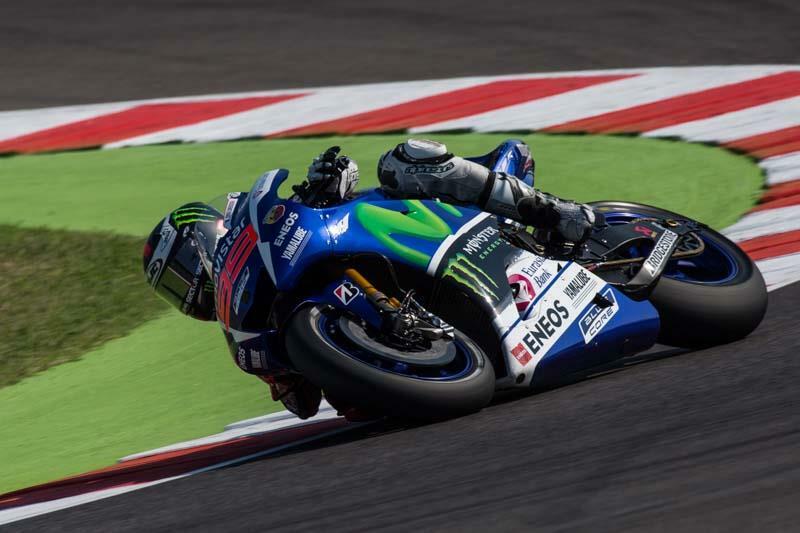 Jorge Lorenzo was underneath lap record pace at Misano with the Spaniard ending the first day of practice fastest ahead of the factory Hondas of Marc Marquez and Dani Pedrosa. Lorenzo sported winglets on his Yamaha M1 during the session as the manufacturer attempts to improve their bike still further. Andrea Dovizioso was the fastest Ducati and outpaced Valentino Rossi by almost two tenths of a second for the honours of the fastest Italian. 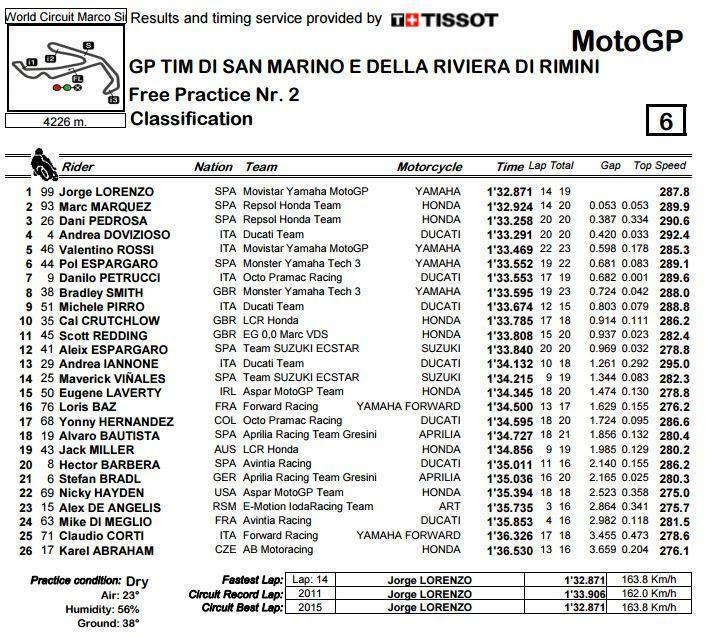 Bradley Smith was eighth fastest with Cal Crutchlow and Scott Redding tenth and 11th fastest respectively. Crutchlow had a crash on his LCR Honda in the early stages of the session but still ended the day within one second of Lorenzo. Eugene Laverty was 15th fastest and comfortably the fastest Open bike today.